SHE was known as "Riss", the adored younger sister of Dee who just a few months ago was obsessing about hairstyles on Instagram with her close 16-year-old friends. The Craigslea State High School students chatted like normal teenage girls about their looks and who was the latest to visit their favourite salon, Bambi and Bear in Brisbane. 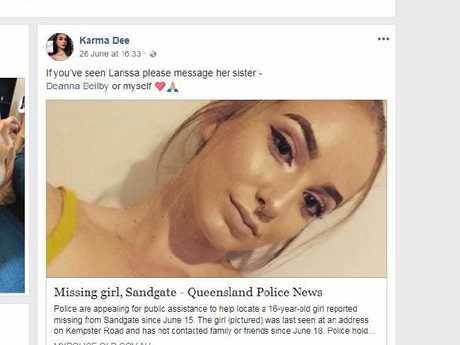 Larissa Beilby lived in the northern Brisbane suburb of Sandgate and was close to her older sister Deanna, a commerce student at Griffith University who is due to graduate in November. Larissa Beilby has been missing since early June. Photographs of Deanna's school graduation with father Paul show Larissa as a fresh-faced blonde kid sister of slight build. It is unclear how the schoolgirl crossed paths with contract cleaner Zlatko Sikorsky, who has been known to police for at least 15 years. According to the Courier-Mail, the pair were in a relationship and Larissa had fled one man who she felt threatened by to be with Sikorsky. 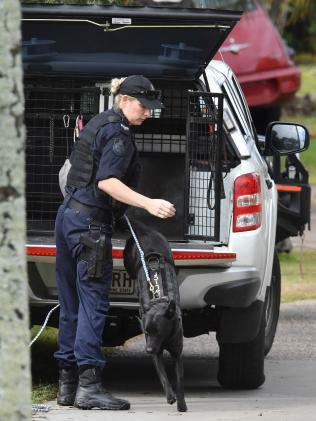 Sikorsky is the heavily tattooed man police are seeking after the body of a teen was found in a blue barrel in the back of a black ute south of Brisbane on Wednesday night. In 2003, contract cleaner Zlatko Sikorsky had clocked up multiple speeding offences and had his licence suspended. Queensland Police will not confirm the body is Larissa's but have confirmed the two were known to each other. Larissa has been missing from her home since June 15. She stopped using Facebook three days later. In 2003, Sikorsky was also in trouble with the law. 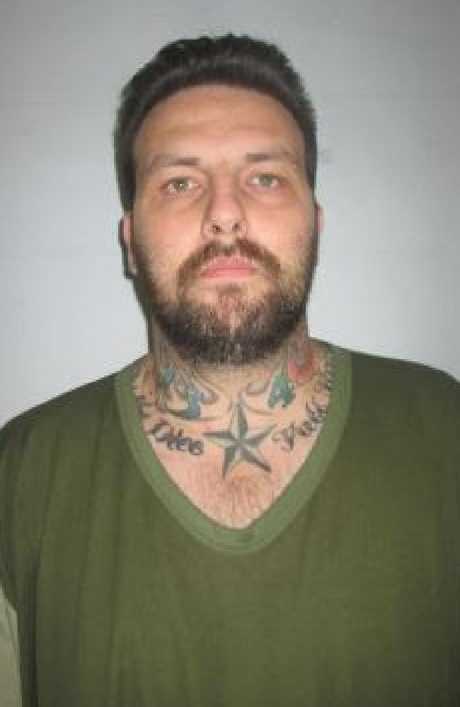 Sikorsky, who comes from Slacks Creek in the Logan City area, where remains were dumped, was himself a teenager when he racked up a string of driving offences. At that point, the 19-year-old travelled around for cleaning jobs and was caught speeding on multiple occasions. His licence was cancelled, and it was only when he was picked up at a random breath test, that he was charged with unlicensed driving, convicted and suspended for six months. A court heard he spent long periods away from home, driving his cleaning van. Years later, Sikorsky left a trail of financial debts in his wake. The house at Buccan from which the black ute carrying the barrel containing remains was seen speeding off. 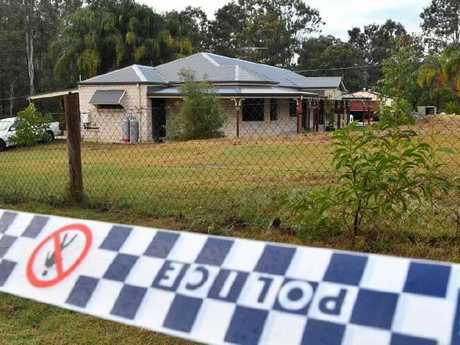 The ute was dumped at this mobile home park south of Brisbane and then the remains were found. Picture: Darren England. 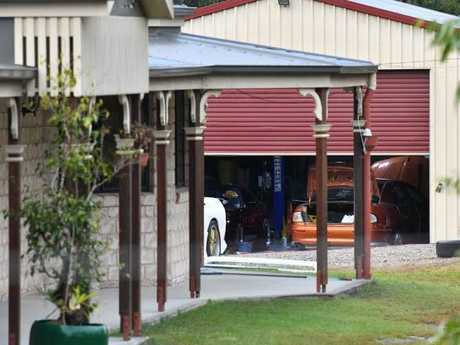 News.com.au spoke with the owner of the house where the now 34-year-old was last seen before taking off at speed in the black ute from a house at another Logan City suburb, Buccan, on Wednesday. Sikorsky allegedly drove the ute 20 minutes to a caravan park in Stapylton, Logan City where mobile home residents were familiar with the vehicle. 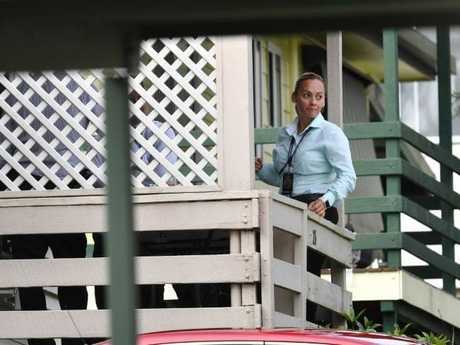 But it has not yet emerged how Larissa Beilby may have come to be at the rural property in Buccan. A shed behind the Buccan house from where remains were taken. Picture: Darren England. After Larissa vanished her sister Dee post a Facebook a plea asking anyone who had seen her sister to get in touch. Sister Dee posted this on Facebook when Larissa went missing, but the teenager never returned home. 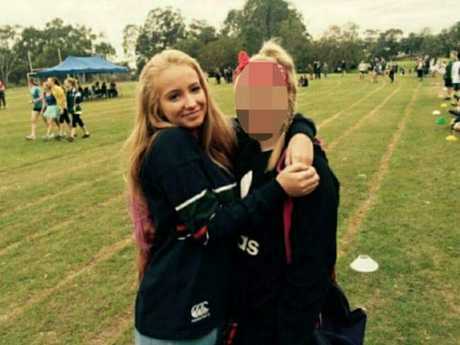 Queensland Police traced the missing schoolgirl to the address on The corner of Grassdale and Hein roads in Buccan. A neighbour told Seven News how he heard a high-powered ute roar out of the driveway of the house on Wednesday afternoon. "It sounded like it lost traction as it came out of the driveway," he said. "Whoever it was, they were in a hurry." Detectives investigating the disappearance of Larissa Beilby (above at a school event) are seeking a man who has been know to police for 15 years. Officers then tracked the ute to the mobile home park on Silky Oak Crescent, Stapylton where one resident said they saw several men flee in a silver car police are now seeking. Another said she had seen a blue barrel in the back of the vehicle. A woman who lives near where the ute was abandoned at the mobile home park told the ABC several men fled in a silver Commodore. "One of our neighbours, he's seen the car parked up there and he went to go and close the door. 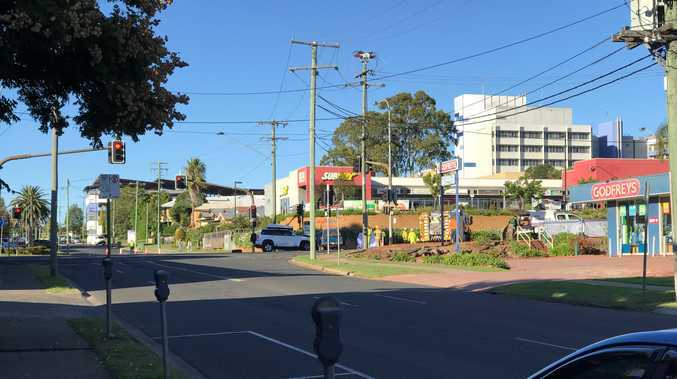 That's when he noticed there was gunshot shells and knuckle busters (sic) inside the vehicle," a woman, identified only as Sharon, told ABC Radio Brisbane. 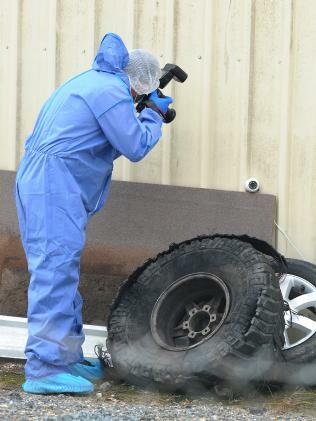 The white Holden Commodore police are seeking in relation to the body found in a barrel. In April, this year Larissa Beilby was tentatively posing in a bikini on Instagram, in modest images shot in a kitchen and living room area with the curtains drawn. In May, she posted on Instagram a video of herself taking a selfie and a friend commented, "you're glowing girlfriend". Detectives investigating the murder say they are seeking assistance from Zlato Sikorsky who they believe was travelling in a silver 2014 Holden Commodore. 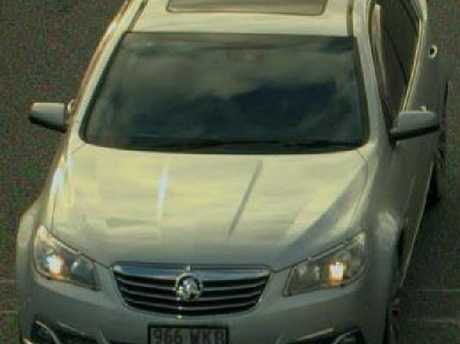 The vehicle has a sunroof and the Queensland registration 966 WKB. The circumstances surrounding Ms Beilby's disappearance are yet to be determined. A police dog handler at the caravan park. Picture: Darren England. A younger photo of Larissa Beilby. 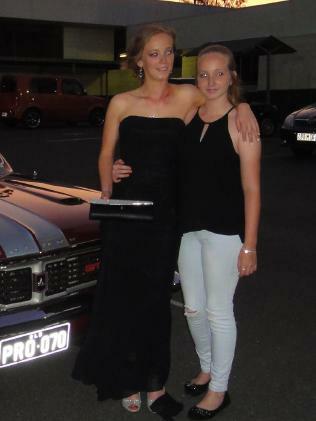 Larissa (right) and older sister Deanna. Police photograph evidence at Buccan. Picture: John Gass.